An international cricket selector must look at both statistics as the foundation of form and non-statistical information to understand those stats in context. So what would an Australian XI v Australia A look like in 2019? Marcus Harris, Aaron Finch, Usman Khawaja, Shaun Marsh, Travis Head, Mitch Marsh, Tim Paine (captain), Pat Cummins, Mitch Starc, Natan Lyon and Josh Hazlewood. Matt Renshaw, Joe Burns, Daniel Hughes, Kurtis Patterson, Cameron White, Glenn Maxwell, Matt Wade, James Pattinson, Jackson Bird, Chris Tremain and Fawad Ahmed. It’s hard to comprehend how this side is Australia’s best side using any statistics-based analysis. Only two players in the top six have a first-class average over 40, those being Usman Khawaja (43.71) and Shaun Marsh (40.94). 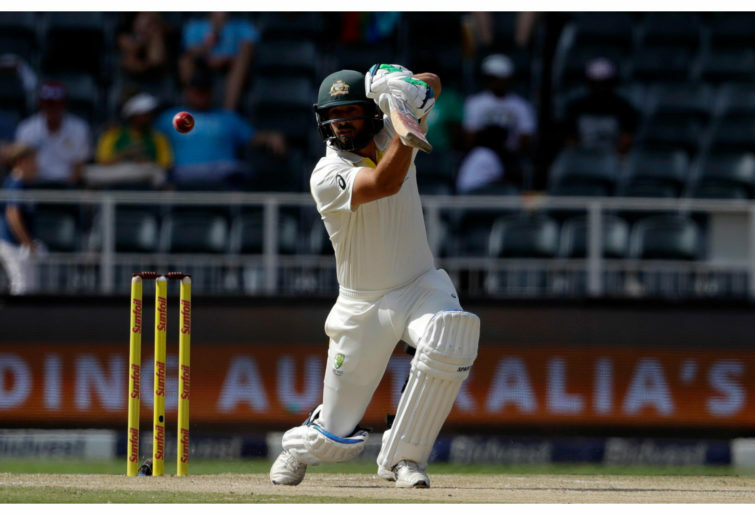 While runs are the currency of the day, no centuries have been scored in the current Test series and with only Travis Head averaging over 30 (36.16). Notable is that players most under pressure are Mitch Marsh and Aaron Finch. Marsh only had one Sheffield Shield score of note to start the season, being a 151 against a toothless Queensland attack with ordinary fielding, while Aaron Finch struggled in his only Shield game and didn’t score any ODI or T20 runs yet has been rewarded with at least four Test matches against India. 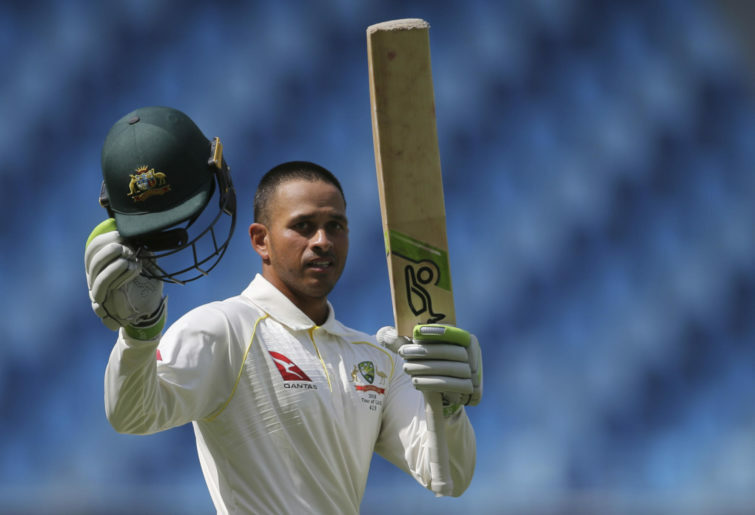 For Australia A, four players average over 40 in first-class cricket, with Daniel Hughes (39.76) and Matt Renshaw (37.82) maintaining higher averages in first-class cricket than the four incumbent Australian batsmen. In addition to the case for Matt Renshaw is that he scored 184 against Pakistan in Sydney, performed well in India in a low-scoring series and was top-scorer for Queensland in their 2017-18 Shield-winning season. Many commentators have labelled this bowling unit as the best in the world, yet statistically they are not even the best in the country. When Test records are excluded to allow all the bowlers to be fairly measured against each other an interesting picture appears for standalone first-class statistics. Given the development of Pat Cummins and Nathan Lyon in the last 18 months, statistics do not tell the entire story. These two players are in the top tier of their professions at the moment, with consistent success for the past two years. As a result I have used their superior Test records to tell a more accurate picture. That said, our opening bowlers, Josh Hazlewood (avg 22.84, SR 48.09) and Mitchell Starc (24.67 avg, 45.18 SR), have inferior records to two other opening bowlers in the country, those being Chris Tremain (23.68 avg, 45.7 SR) and James Pattinson (20.82 avg, 39.47 SR). Notably, Tremain and Pattinson have higher first-class batting averages than Hazlewood and Starc, with Tremain even having a first-class century to his name. Statistically Australia A would win this contest. Sheffield Shield – 21 Innings, two not-outs, 853 runs at 44.89 and was an important cog in Queensland winning the 2017-18 Shield. Six first-class 100s, four 50s. Granted he’s averaged 20 to start the current Sheffield Shield season, but he’s also scored 648 at 162, including a 345, in Queensland first-grade cricket. And at 22 years old he represents a long-term prospect for the Test team and leadership potential. Plus he already has a Test century. His form over the previous three years is not reflected in overall career statistics. He’s been averaging in the mid-40s since 2015. Burns is consistently near the top of the Shield run-scoring charts, with a career first-class average of 41. He’s taken over Shaun Marsh at No.4 because Marsh’s Test form for the past 12 months has been ordinary and it may be the end of his road in the Test arena. White is a veteran who averages 41 and has 21 first-class centuries. He’s an exemplary tactician and first slip fielder. He’s shown the ability to ride out tough batting situations and has a wealth of experience. He has a first-class average of 41 and a Test hundred in very difficult batting conditions in India, and he’s the best fielder in the country and can accelerate an innings when required. He’s retained over Matt Wade because of his leadership and glove work, though Wade has been knocking on the door in the last 12 months with amazing batting form. Tim Paine also has the second-best Test batting average of any wicketkeeper to play for Australia and does value his wicket with long innings. He’s statistically the best fast bowler in the country. He swings the new ball and is very fast and aggressive. He also has a better batting average than Mitch Starc. Cummins is the world No.3 Test bowler. He hits great lengths and has many tools. He’s able to get top-tier batsmen out in all conditions. Tremain is statistically the best line and length bowler in the country by a small margin, but he’s been getting top-order players out. He also has a first-class century to his name. He’s arguably the best spin bowler in the world at the moment.